Apples. Love ’em. Especially this time of year. 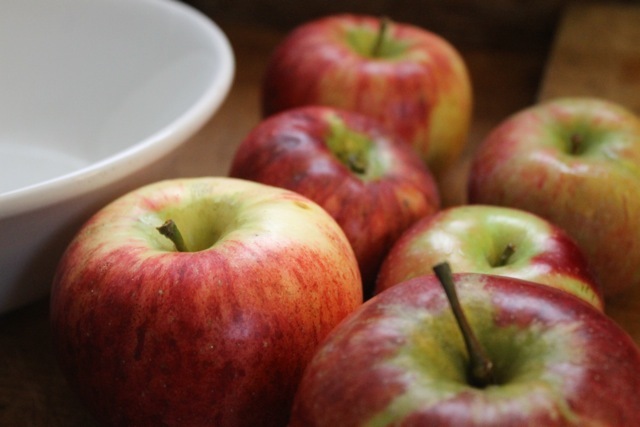 The smell of apples, fallen leaves, wearing boots and sweaters and feeling the crisp air is just lovely this time of year…the last time I had picked apples was a little over 10 years ago – in New Zealand. 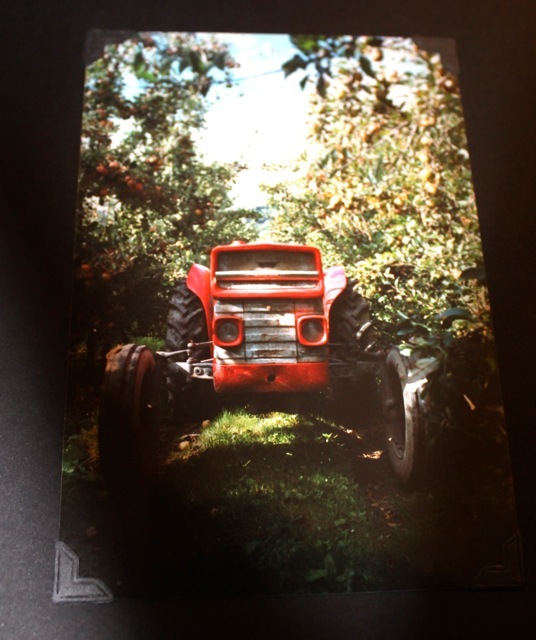 Now, my most recent apple picking experience – this past weekend, in Maine – was vastly different than my last apple picking experience, in New Zealand. 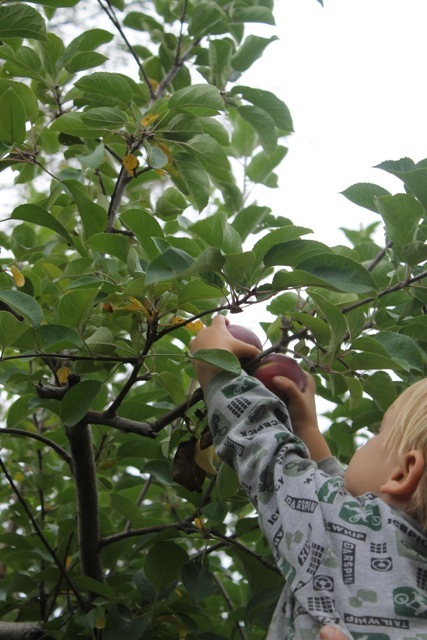 This past weekends’ experience was for pleasure, Michael, Finn and I went apple picking. 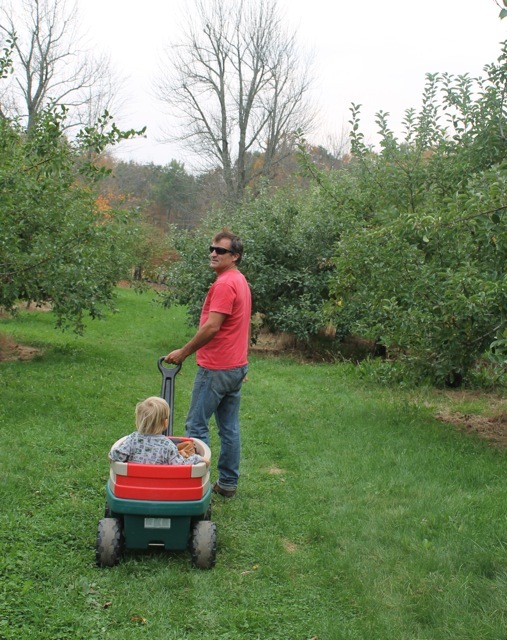 You choose a wagon, a bag and go out into the orchard. Pick, pick, pick till your hearts content. 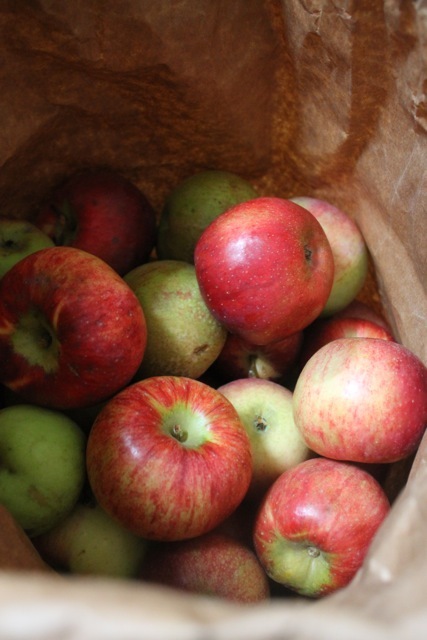 We ended up with 19 pounds of apples – that’s a lot of apples – nothing compared to what Michael and I would pick on a daily basis in NZ, but a lot for three people to eat nonetheless. 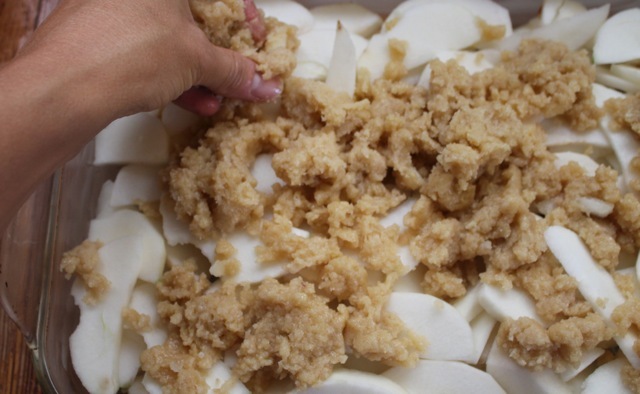 Now, I know – apple pie, apple sauce, apple bread, apple crisp, baked apples, caramel apples – but there’s only so much time in my day, so I’ve decided to make pies (and freeze) and apple crisp. 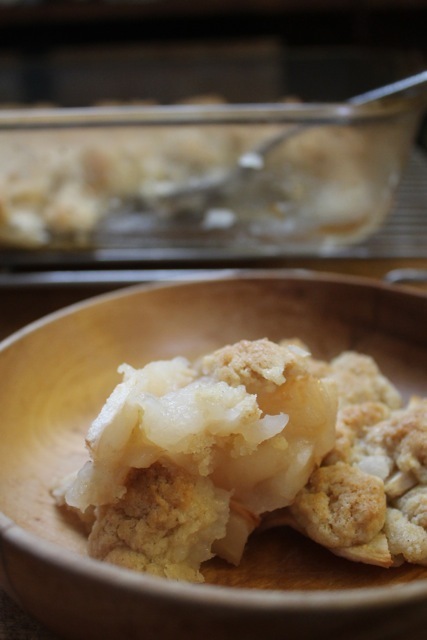 I have the best recipe for apple crisp. Really. I found it in a cookbook given to me by my grandmother, 12 years ago. It’s a cookbook created by and for the Wellfleet Bay Wildlife Sanctuary; titled, Savoring Cape Cod. 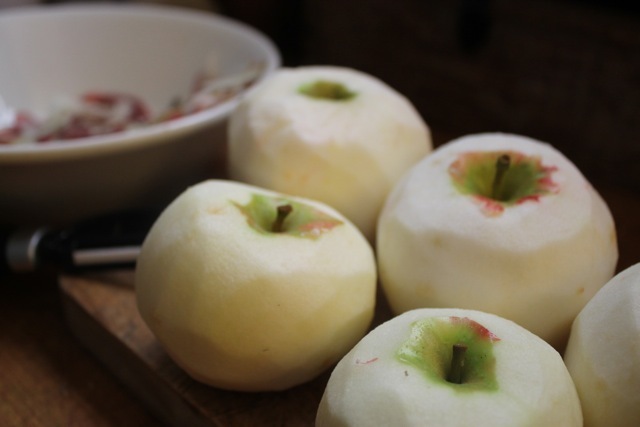 5-6 apples (any god pie apple) – peeled and sliced. I used Cortland and Macintosh. 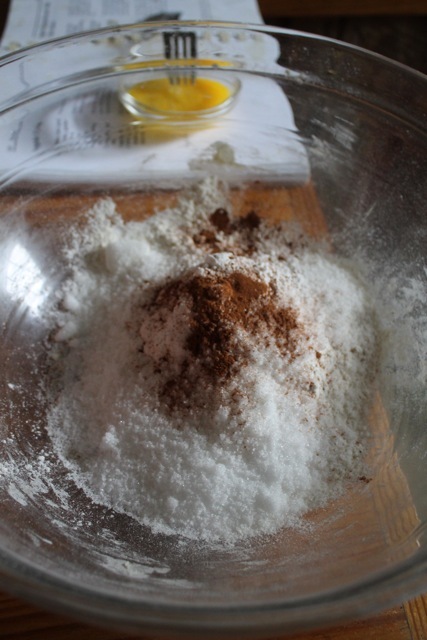 Bake for 35 minutes, or until top is browned. This entry was posted in baking recipes, eating, home, photography, travel and tagged apple crisp, baking recipes, photography, writing by ripe red berries. Bookmark the permalink. 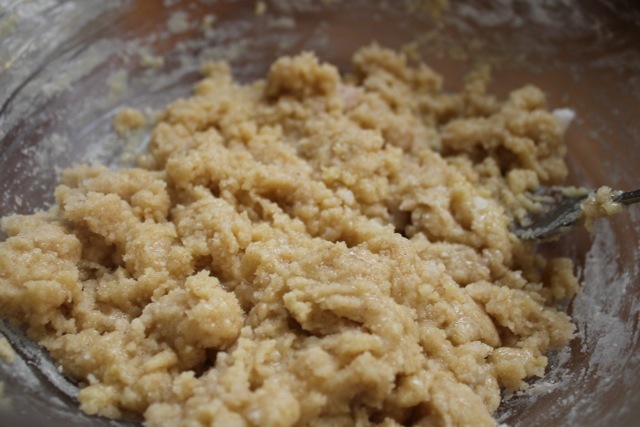 I am not a baker and really do not like to bake but I think I can handle this one. 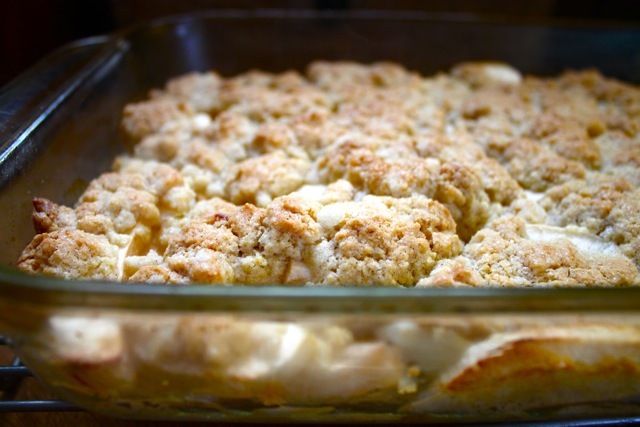 It is apple season in the Hudson Valley so this is a timely recipe, thanks for sharing. Picking till your hearts content must be a lot different from your picking to sunset experience! Yes, it is. 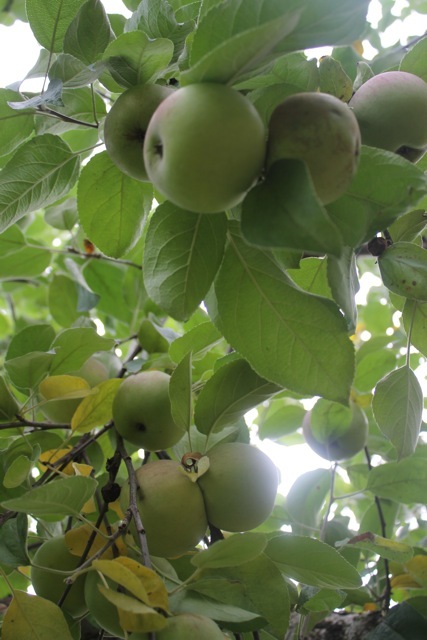 Apple picking for pay is quite the job – and the pay isn’t that great, but hey, it was an experience I’ll never forget and I was able to enjoy NZ in an entirely different way. Perhaps I’ll write a post about it…thanks for commenting!